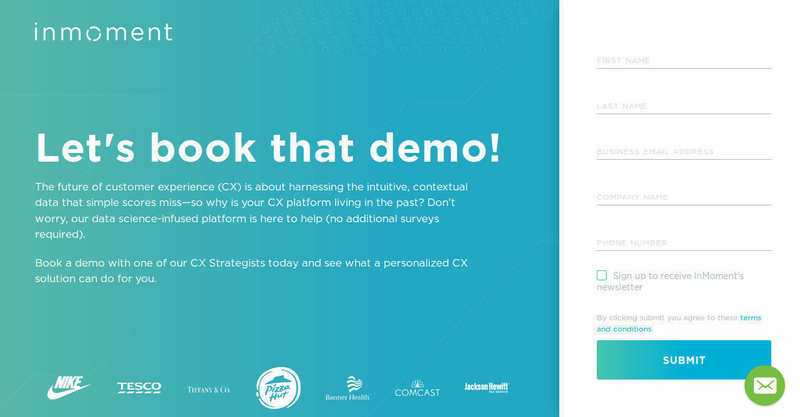 Best solution to improve your CX efforts. How much does Inmoment cost ? 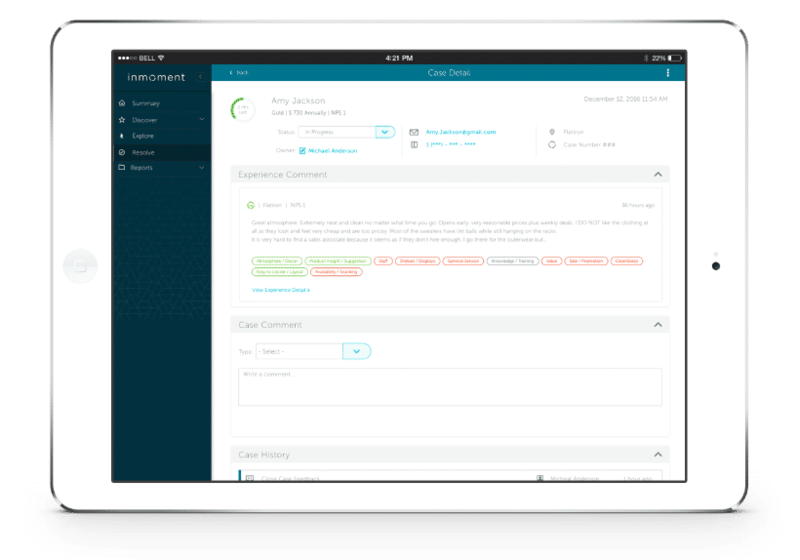 Inmoment provides a custom pricing for their software. 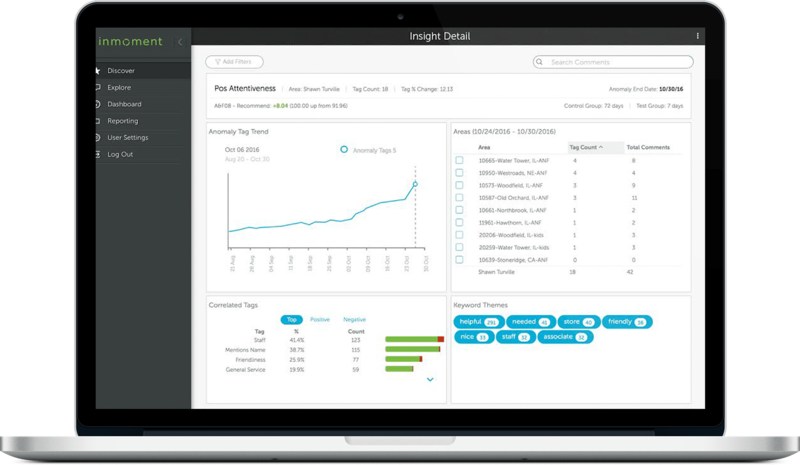 InMoment offers different products on quote-based pricing. Please contact the vendor for the latest pricing. Pros: The system allow you to go through call your comments and figure out what is working for your company and what is hurting it. The antithetical part is fan tactic. The customer support is second to non. Cons: I cannot think of alot of cons with inmoment. They have live support 24 X 7. Some time the right hand does not know what the left had is doing but this seem to be getting better over the past year. Overall: When use correctly I know what my client like and what they do not like. Excellent to see the "guest view" of our operations. Pros: Gives real time concerns and areas to address in overall operations. Great way to keep in touch and improve on guest relatio ns. Cons: Honestly I do not have cons. This software puts all areas in a few different ways to accommodate to what works best for you. Exp. Charts, percentages, graphs. Overall: Being up to date on guest relations in store. 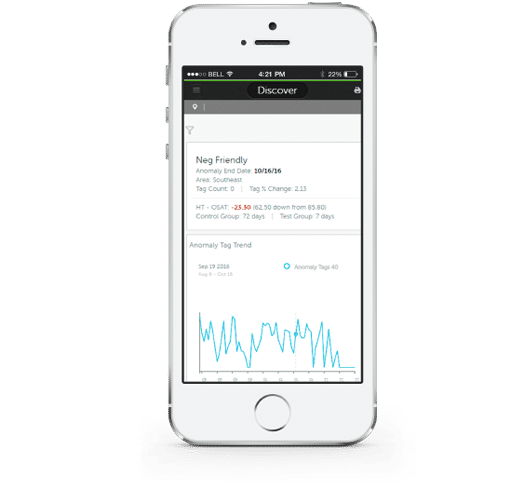 Comments: InMoment is a great tool for capturing customer data and setting up different types of customers. 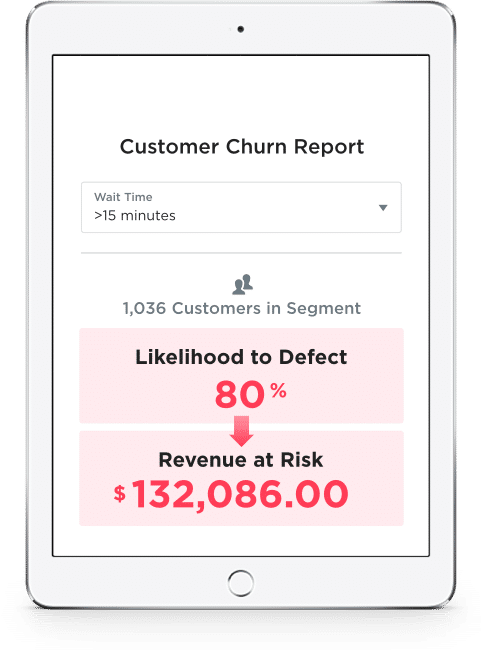 Reporting inside moment is very hard to use, especially when setting up parameters and custom reports for different parts of your organization. InMoment does have excellent customer service and is quick to answer questions.